Interactive online Data Tool is accesible via this website. An in-depth analysis of the structure and dynamics of buildings and related energy systems in EU-27 (+Croatia and Serbia). 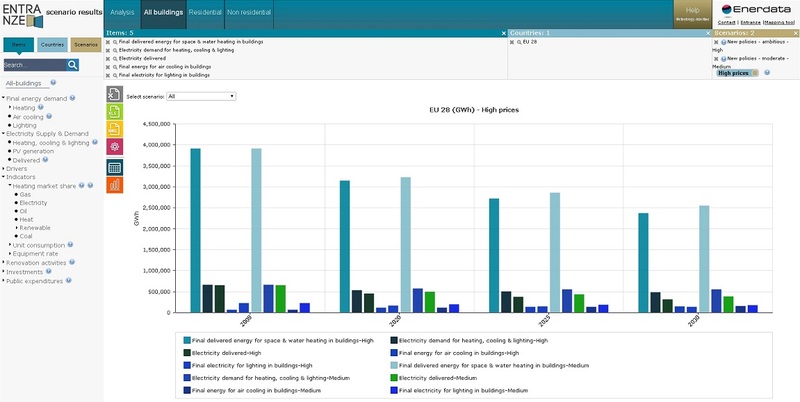 This tool provides the results of alternative scenarios of development of the building stock and its energy demand for nine target countries and the EU-28 up to 2030. The ENTRANZE Project has been supported by the Intelligent Energy Europe programme. The sole responsibility for the content of this website lies with the authors. It does not necessarily reflect the opinion of the European Union. Neither the EASME nor the European Commission are responsible for any use that may be made of the information contained therein.